mtonic.com: “How Accurate is Apple Maps in Canada’s Largest Province?” by Jason Matheson: n.d.
Matheson used a geolocation class in iOS’s Core Location framework that can be used to convert between terrestrial coordinates and place names. You can either give it the coordinates of a location on Earth and get back a number of known locations within a certain range of it, or provide a location name and get a list of coordinate pairs that match that name. Under iOS 5.x, the Core Location framework piggybacks on Google’s own APIs, but, in iOS 6, all the data is now provided by Apple. Matheson’s experiment shows that Apple fails to properly identify the vast majority of city names in Ontario. That is, indeed, a pretty big deal, but I want to point out that it doesn’t necessarily mean that “these towns don’t even appear on the map” anymore than not finding someone on a phone directory means that those people don’t exist. The difference is significant, because this experiment doesn’t test the accuracy of the maps themselves, but, rather, of the metadata associated with them. What struck me (and Gruber) about Matheson’s work is the fact that he didn’t take his research to the ultimate conclusion. He compares the results he receives from iOS 6 against known geocoded points, but—crucially—not against iOS 5, which relies on Google. To me, that’s the crucial test: If everyone is unhappy about the transition from Google- to Apple-provided data, this is a perfect opportunity to test how good both are based on a given sample. Since I had an iOS 5 device (an iPhone 4) handy, I decided to give it a go and scanned through the same list of city names that Matheson used, running each as a query against the Google-powered iOS 5.1 APIs. ・Unlike Apple, Google almost always returns at least some results. This is in line with my experience with all Google search properties, and is likely due to the fact that Google has discovered that an incorrect result is better than no result at all when it comes to keeping people on their Websites and continue to generate ad revenue. ・Despite this fact, however, 784 of these results are outside Ontario (most, in fact, are outside of Canada—some as far away as China). This compares favourably to the 688 searches that returned no results in Matheson’s iOS 6 experiment. ・What about the others? Of the 2,000-odd queries run, about 900 of them returned results that were within 1km of the known geolocation that I was searching for. Some others were off by hundreds of clicks. It’s hard for me to compare this number to Matheson’s (it depends on his definition of “close enough”), but hopefully he will chime in at some point. With these results in hand, I was curious whether the accuracy of either search engines (or both) could be improved. What makes geolocation so hard is that humans—particularly when they share a common cultural background—are insufferable nostalgia machines, and tend to name places the same way. There are dozens of Londons, Glasgows, Hamiltons, and even a handful of Torontos in North America, for example. By the same token, Ontario can be a city or a province—and different cultures will make the distinction between a city and a province in different ways. All this conspires to making reverse geolookups easy to get wrong, which is why providing more information often helps search engines find places more easily. To test this theory, I simply added the word “Canada” at the end of each of the queries, in the hopes that this would provide additional context to help narrow down the searches. And I wasn’t disappointed—but only as far as iOS 5 is concerned. The Google-powered API returns (Excel file) an 85 percent match at the provincial level (that is, it recognizes that a place is in Ontario 85 times out of a hundred), although still only 900 or so places are returned as being within 1km or so of the expected location. On the surface, iOS 6 (Excel file) fares much worse, with only 65 percent of matches being reported in Ontario, and a large number of searches—a whopping 37 percent—returning no results at all. This, however, doesn’t tell the whole story. If we look at the standard deviation in the sets of results that both engines identify as being in Ontario, there’s a very juicy bit of information to be had: Google’s is 221, while Apple’s is only 78—and the Apple results are top-heavy, with only a very tiny minority of locations reported as being far off the intended mark. This is very important, because it confirms what I mentioned above: That Google will return a result, any result, no matter how far fetched. Thus, some of the locations it returns are hundreds or thousands of kilometers off target. Apple, on the other hand, seems to be going for accuracy: either it returns a result that is spot-on, or it returns nothing. 1. Given our set of data, old Maps doesn’t fare that much better than new Maps. 2. There seems to be a significant difference in the way the two companies approach the task of returning search results, with Google doing whatever it takes to get any result out, while Apple seems to prefer accuracy above all. 3. In the end, this is not really a particularly useful test insofar as determining the accuracy of Maps. At best, we get to see how good Apple is as at finding things, but with targets as big as whole towns we’re unlikely to unearth any information that is really useful. And this, more than anything else, outlines Apple’s biggest hurdle: people keep finding mistakes in Maps because looking for them has almost become a sport. When was the last time that you saw users analyzing Google Maps with this ridiculous level of detail? Had Apple set the public’s expectations better, we may be having a very different discussion at this point. 1. 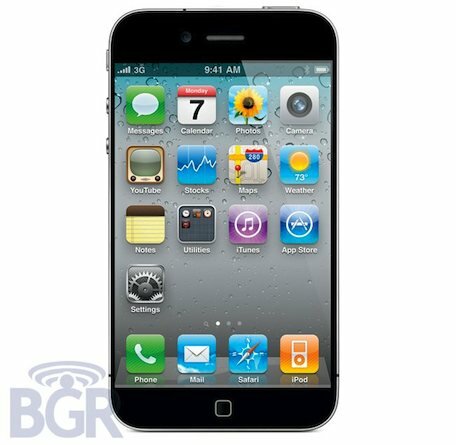 Apple would release a next-generation iPhone at WWDC in June, as per its previous annual schedule. 2. Apple would need something more exciting than an iPod Touch based on the same specs as this year’s new iPhone to announce in the fall, if they wanted to maintain a high level of anticipation for the fall event annually. NEW: If you are doing a OTA software update from beta 3 to beta 4, you will need to re-sync your photos with iTunes. iOS 5 also includes all new notifications with Notification Center, iMessages, Newsstand, and more. OTA updates will come over 3G, as we revealed a few weeks ago. Since the iPhone’s release in 2007, many prospective buyers have declined to choose the iPhone because of a real or perceived shortcoming in its feature checklist. Every time iOS or the iPhone is updated, Apple picks away at that list. They started with the big ones: purchase price, 3G, GPS, copy and paste, advanced security features, Exchange, multitasking. More recently, they added Verizon support, and it wouldn’t surprise me to see them quietly hit Sprint and T-Mobile in the future, picking away at that list even further. With iOS 5, they’ve hit tons of relatively minor shortcomings. Notifications. Quick camera access and a hardware shutter button. Wireless sync and backup. They’ve even added a preference to have the camera-flash LED blink on new notifications, supposedly as an accessibility feature, but also conveniently to appeal to BlackBerry owners addicted to that blinking LED. Apple has steamrolled over almost every meaningful advantage that competitors have. And they’re not stopping. There are lots of hardware preferences that I suspect will always be reasons why some people wouldn’t choose an iPhone, such as the demand for hardware keyboards, removable batteries, different form factors, or significantly cheaper prices. Very few major items are still on that list that I think Apple would actually change. But it’s usually unwise to say that Apple will “never” do something. And it looks like they’re willing to do quite a lot to get more iPhone customers, even if a change require temporarily suspending some of their usual priorities. When speculating on what Apple will or won’t do, a change that gets them more iPhone customers is probably worth considering even if you think they’d “never” do it. iPhone customer acquisition is a higher priority than almost everything else. Apple’s iOS now runs on many of the world’s best-selling mobile devices—iPhones, iPod touches, and iPads—and as such it’s important. But it’s also getting pretty mature, so we’re seeing a slowing of innovation and a far more conscious copying of useful features from other mobile platforms. 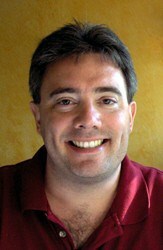 Most of the big new iOS 5 features are culled straight from Android, BlackBerry, and Windows Phone. The new notifications look and work like Windows Phone notifications and are managed from an Android-clone Notification Center. Twitter integration? Microsoft announced it first for Windows Phone (and has Facebook and LinkedIn integration, too). Camera improvements were lifted straight from Windows Phone, and the split virtual keyboard first appeared in Microsoft’s UltraMobile PC products several years ago. iMessage? It’s a proprietary, Apple-only version of the BlackBerry Messaging Service (BMS) and less open than a similar feature on Windows Phone. What this means is that iOS is maturing, and for those using this platform, these are all welcome changes. For the rest of the world, however, it’s been-there-done-that—not exactly the innovation message Apple likes to project. 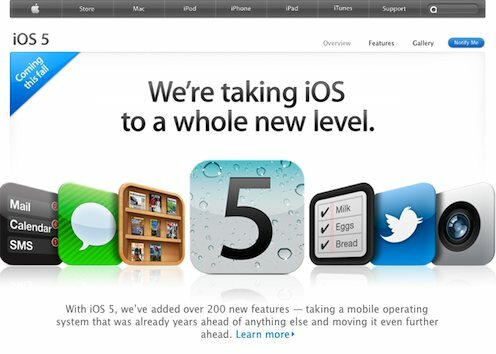 iOS 5 won’t ship until late 2011 and pricing and licensing is currently unknown. Since making the transition from its buggy Mac OS past to the more durable and reliable Mac OS X, Apple has delivered a decade’s worth of minor, purely evolutionary updates, and Mac OS X 10.7 “Lion” is just the latest. Some UIs are pure iPad, and with mixed results: The LaunchPad provides a tedious grid of icons for launching apps, and Apple is finally adopting a cohesive approach to full-screen apps. But other Lion ideas simply speak to how tired this desktop-based OS has become: like Mission Control, the latest in a long list of Apple attempts at helping users manage an overabundance of windows. What Apple gets right, however, is pricing and licensing: Lion is just $29, and you can install a single copy of the system on as many Macs as you own. That said, it’s download-only, and an upgrade only for those users who have the previous OX version, Snow Leopard installed. So later system rebuilds will require you to install Snow Leopard first, then Lion. All in all, Lion doesn’t change much: People buy Macs for the beautiful hardware, not the lackluster OS X user experience. That’s still very much the case. One could argue that these are purposefully antagonistic ways of saying these things. Or, perhaps better said, purposefully belittling. With Mac OS X in particular, to my recollection, Thurrott has had this same take for every single major (i.e., new cat name) release. Every single one, he’s considered to be “minor” and “evolutionary”. The insinuation I always get from Thurrott’s takes on big-cat Mac OS X releases is that Apple can’t or at least doesn’t attempt sensational mind-blowing new releases, but yet through marketing trickery they convince the press and a large and ever-growing audience of enthusiastic fans of the company that these (to Thurrott’s mind) incremental upgrades are in fact sensational major new upgrades. I’ll just say this. Compare Lion side-by-side with Mac OS X (“Cheetah”) and you’ll weep with joy at how much better it’s gotten. This is how Apple rolls — steady, relentless, incremental progress. The iOS has been with us since the day the first iPhone shipped in 2007, and in the intervening years Apple has been furiously adding new features. With iOS 5 there’s still a lot that’s new, but it feels like the first time that Apple has doubled back to fix features that made sense back in 2007 but are clearly antiquated today. The current system of push notifications (individual pop-up alerts and a stack on the home screen that’s dismissed when you unlock it) is a mess, but it’s been completely overhauled in iOS 5 with the introduction of Notification Center. Safari on the iPad now supports tabbed browsing. There’s finally a built-in to-do list, courtesy of the Reminders app. The Camera app finally lets you press a hardware button to take a picture. The list of fixes and re-thinks is remarkably long. 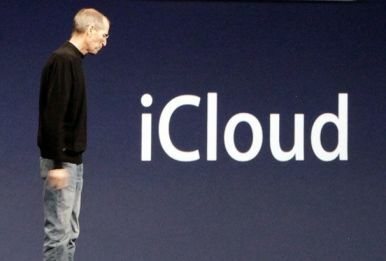 And I haven’t mentioned the biggest re-think of all: the latest reboot of Apple’s online service, iCloud. MobileMe wasn’t a bad product, though it always had a hard time competing with other web services that offered most of its functionality for free. But for Apple to settle all family business, it had to die. When you set up an Android phone or one running HP’s WebOS, getting up and running is incredibly easy: enter in your user name and password. Your e-mail, contacts, and calendars are automatically configured, and if you’re replacing an old phone, all your old data is automatically restored. The iPhone and iPad experience was much more complicated, because Apple couldn’t count on MobileMe being there for every iPhone and iPad user—only the ones who paid $99 for the privilege. With iCloud being free, everything changes. Not only will this allow Apple to stop asking you to plug in your iPhone to a Mac before you use it, but it makes set-up vastly simpler. You can put in your Apple ID and automatically gain access to your address book, browser bookmarks, e-mail, calendars, and the rest. 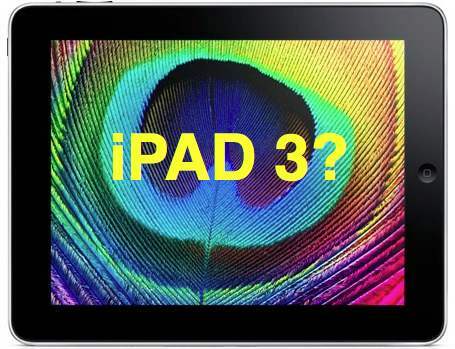 It boots one of iOS’s longstanding weaknesses right out the door. More importantly, deeply integrating iCloud into OS X and iOS means that it’s now part of the hardware/software synthesis that is at the core of Apple’s ability to build great products. I’m not sure Apple has ever understood what it means to be an online-services company, selling various online features off on the side of Apple’s core business. But iCloud isn’t going to be some ancillary part of Apple: it’s going to be everywhere, part of the experience of every iPhone, iPad, and Mac user. Given Apple’s shaky history with online services (eWorld, iTools, .Mac, MobileMe), this might be cause for some serious concern. But I think iCloud will end up being a big success, specifically because it’s now front and center, rather than off to the side. There’s nowhere for it to hide; iCloud will be just as much a part of Apple’s products as the operating systems and the physical hardware. The iCloud experience will be subject to the same brutal scrutiny as all the other aspects of Apple’s product-creation process. There might be some bumps along the way, but I believe Apple will get this right. In fact, Apple must get this right. This is the path Apple has chosen: It’s getting rid of its old liabilities and striking out in bold new business directions. Although Apple tends to settle old scores without shedding as much blood, it’s still an aggressive approach that even the Godfather would have understood.